A stubborn city girl, a grieving cowboy, and a bushranger's legacy. Sick of being broke, vet nurse Kylie Douglas is intent on selling the outback homestead she inherited so she can get back to her normal life in Brisbane with some cash to burn. She has never really been attracted to the strong silent type, but when she meets Jack she senses there is something different about him. Still grieving for his wife and unborn child, Jack Lawson is intent on buying the outback homestead to keep their memories close. Jack knows he needs to move on with his life, but can he if he has to leave the homestead behind? When the homestead starts to unearth its many secrets, Kylie and Jack's worlds collide as the past comes back to haunt them. 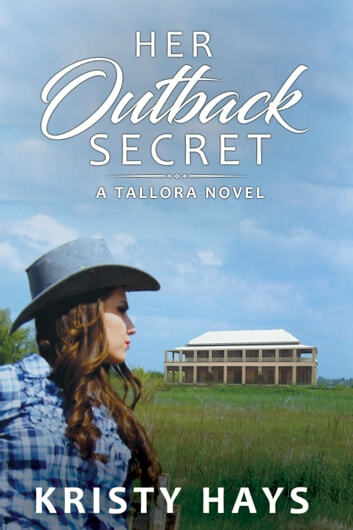 Will her grandmother's biggest secret tear both their worlds apart?